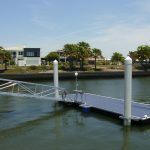 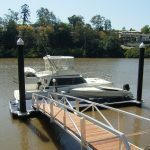 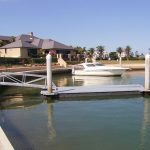 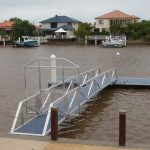 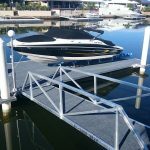 Bribie Pontoons offer both dry berth and flat top pile mounted pontoons. 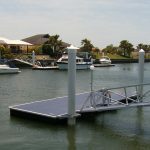 Pile mounted pontoons are ideal for any weather conditions and are great if you are requiring more space. 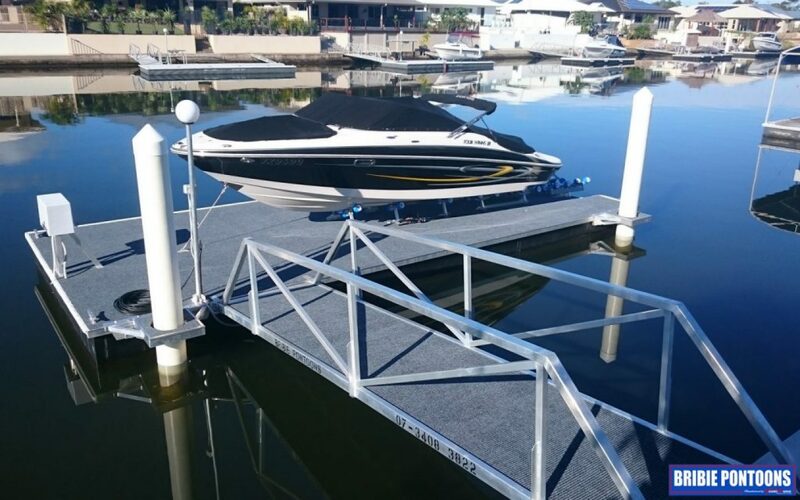 Our Dry Berth pile mounted pontoons offer the convenient storage or your boat/water craft. 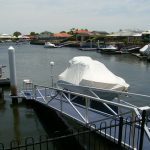 You have the option of manual winch or 240v electric winch, complete with 10 meter cable remote, stand and fiberglass cover. 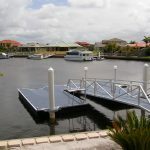 A Flat Top pontoon is ideal for anyone wishing to permanently moor their boat. 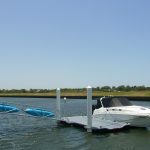 It allows a greater pontoon area for kayaks, jet skis and other water craft.